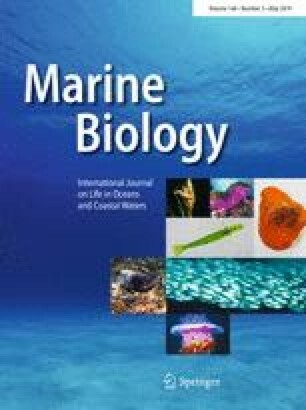 In temperate seas, multi-voltine copepods show a pronounced seasonal variability in body size, which affects both their reproductive capacity and their accessibility to size-selective predators. Here, we studied seasonal changes of female prosome length from six common copepods, Acartia clausi, Centropages hamatus, Centropages typicus, Paracalanus parvus, Pseudocalanus elongatus, and Temora longicornis between 2000 and 2005 at the time series station Helgoland Roads, southern North Sea. We observed no significant effect of food (measured as phytoplankton carbon content) with size of adult females. Moreover, in none of the species investigated was prosome length significantly correlated with temperature when considering the whole year. Instead, all species had a period of temperature-related size, but for the size distribution during the rest of the year we distinguished two groups of species. Group 1 (Acartia clausi, Centropages hamatus, and Pseudocalanus elongatus) had a resting phase with females of the same size persisting for > half a year, while in group 2 the time after the temperature-related phase was characterized by irregular size distributions. A female resting phase of Acartia clausi, Centropages hamatus, and Pseudocalanus elongatus has been hitherto unknown. Size distribution control after the temperature-related phase in group 2 is as yet not understood, but the awakening/hatching of resting eggs and/or copepodids may be found to be involved. Reviewed by M. Sasaki and F. Norrbin. The online version of this article ( https://doi.org/10.1007/s00227-019-3503-7) contains supplementary material, which is available to authorized users. We thank the personnel of the Biologische Anstalt Helgoland for collection and delivery of the samples, especially the crew and captain of the research vessel “Aade”. This study was possible only by the tireless und conscientious assistance of Ulrike Holtz.